-Skin causes stains due to several reasons. Use petroleum jelly to make the skin clean and shiny. 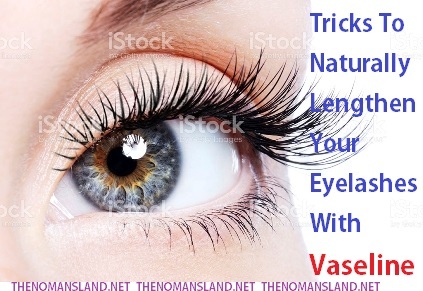 -If you are going out somewhere, apply the Vaseline in the posterior part of the elbows, knees and feet of the claw, black streaks will be hidden, and the brightness will also increase. 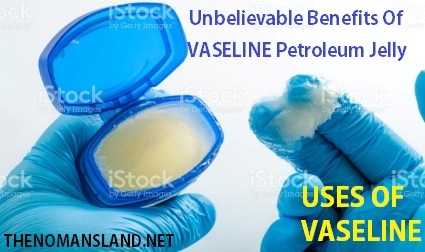 -You can use Vaseline as a make-up remover. To clean your makeup, just put a little jelly on your face then clean it with cotton, and wash your face. This will also make your skin soft. -If you remove your eyes' make-up by using petroleum jelly, your makeup will also be removed and your eyes will not have any problems in your skin. If you want you can use it to show your eyebrows as shiny too.